NEW Pack (10 domes) of Oticon 6mm OPEN MiniFit dome tips. Oticon introduces these new domes for the Oticon Alta and Alta Pro hearing aids, and all other hearing aids with the new Oticon MiniFit receivers/speakers. There are ten domes per package. Keep your hearing aids in top working condition by changing the dome tips regularly. 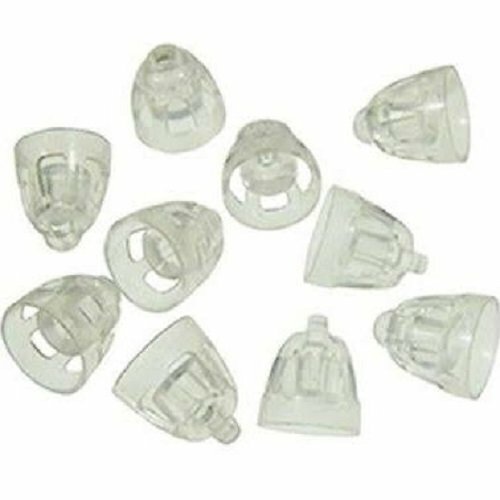 Original 6mm OPEN MINIFIT DOME TIPS for your Oticon hearing aids. Change your domes / tips when they become brittle, stained, wrip, break, or too plugged with wax. These domes / tips are for the NEW 2013 Mini receiver / speakers by Oticon. These domes are for the extra small speakers from Oticon on the Alta and AltaPro advanced hearing devices. If you have any questions about this product by Oticon Domes, contact us by completing and submitting the form below. If you are looking for a specif part number, please include it with your message.